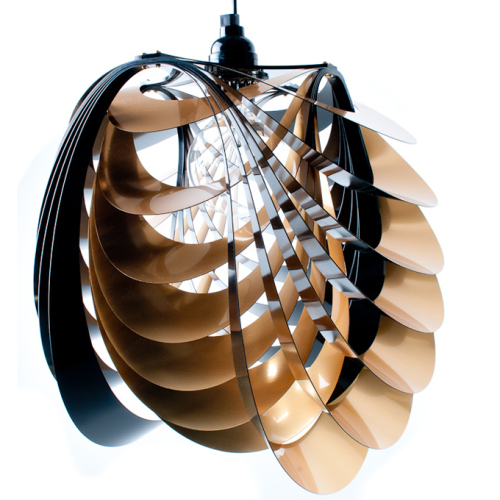 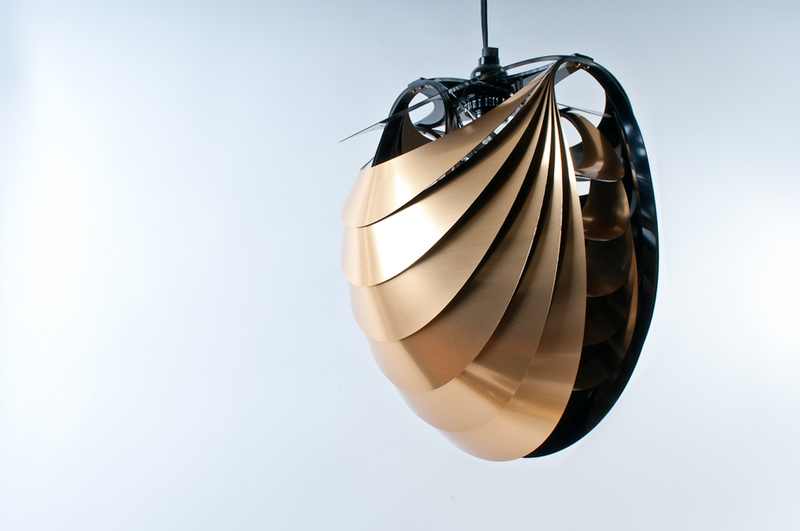 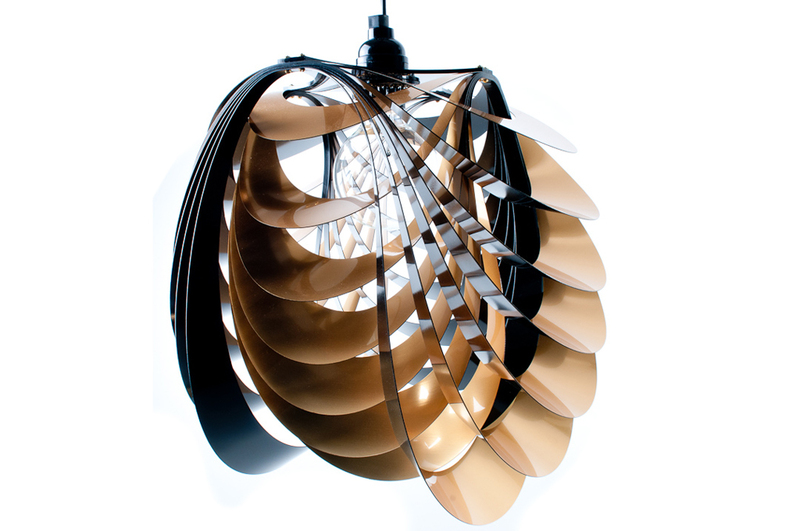 The Kinema pendant is unique in its ability to create impressive lighting effects that match a mood or environment. 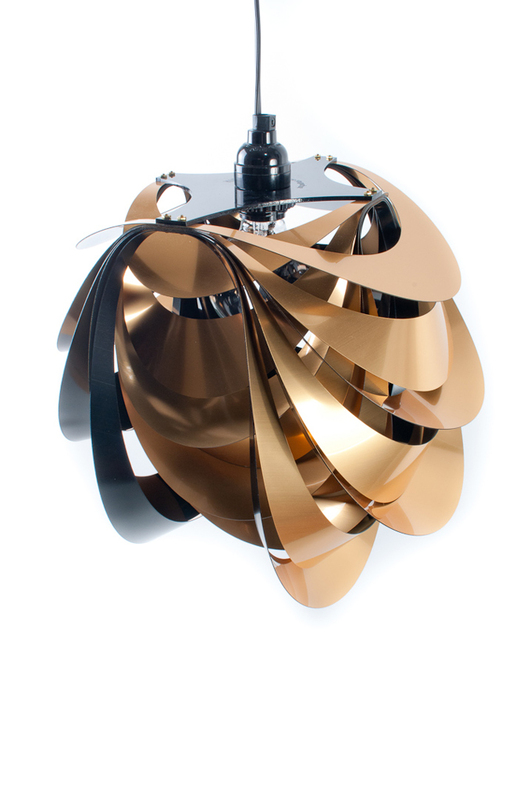 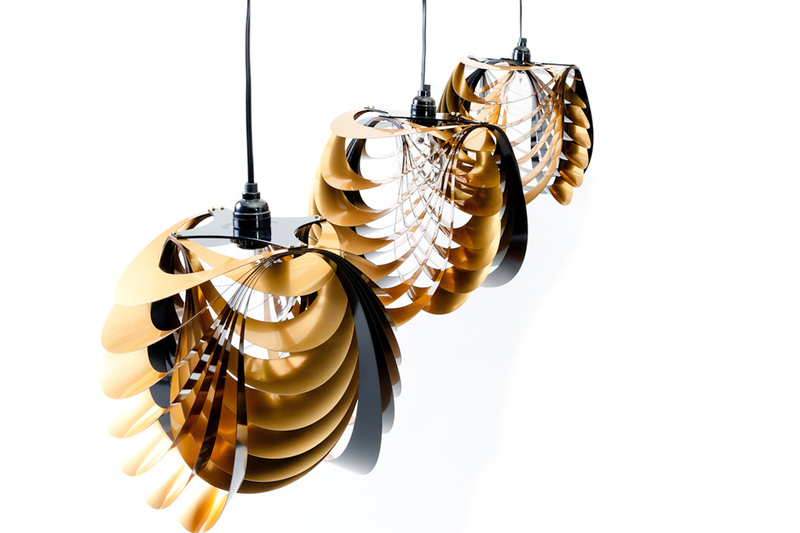 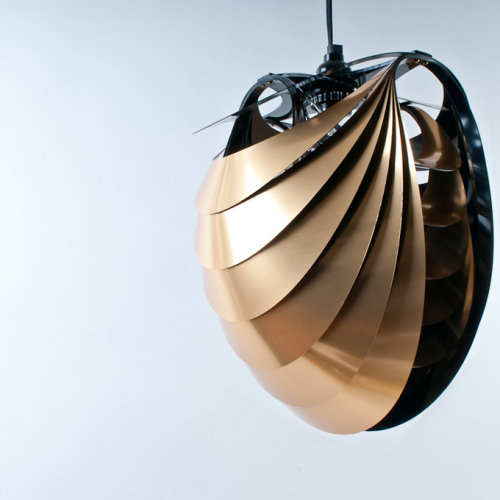 Each of the pendant’s rings can be individually flipped to create dramatic light and shadow. 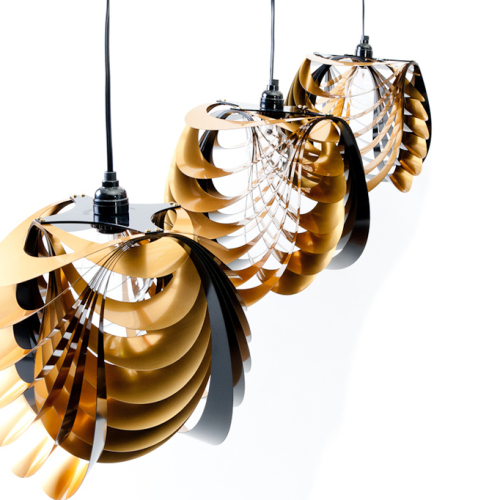 Inspired by the movement of crustaceans, a wide variety of forms can be created by arranging the pendant’s rings in alternating open and closed positions. 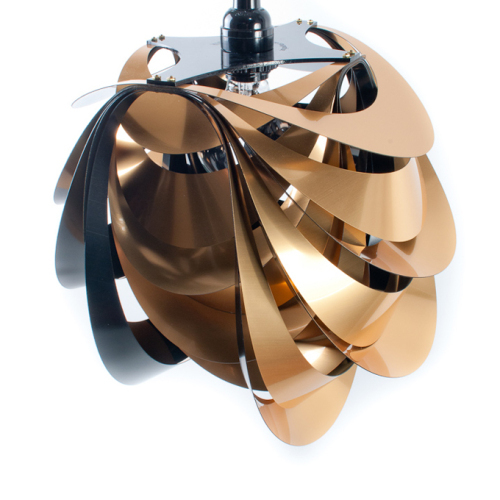 Kinema is available in brushed brass and black or brushed aluminum and black.